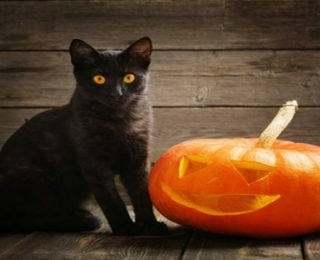 Do you love Halloween and looking for a great Halloween-themed cat name? If you have a new cat and are just looking for Halloween cat names, you are in the right place. Here is a list of Halloween- themed cat names. We came up with a list of favourites Halloween names just for your cat. Addams – As in The Addams Family. Binx – The spirited cat in Hocus Pocus. Bram – Irish author Bram Stoker penned the 1897 Gothic novel Dracula. Buffy – Like Buffy the Vampire Slayer, the beloved TV series. Carrie – The main character of the titular novel by Steven King as well as the subsequent film. Casper – You can’t forget about Casper the Friendly Ghost! Chucky – The terrifying doll who just wouldn’t go away. Craven – Wes Craven was a pioneer in the horror film genre. Cruella – The insane villain of 101 Dalmatians. Cujo – The crazy rabid dog. Damien – The main character in the Omen series of horror films. Dracula – The most well-known vampire. You may have heard of him? Edgar or Poe – Edgar Allen Poe thrilled with his tales of mystery and the macabre. Elvira – The mistress of the dark. Fester – As in Uncle Fester from The Addams Family. Frankenstein – A novel by English author Mary Shelley. Hannibal – Hannibal Lecter, the forensic psychiatrist and cannibalistic serial killer. Herman – Herman Munster, the patriarch of the Munster family. Hitchcock – Albert Hitchcock was the master of suspense. Ichabod – As in Ichabod Crane, the protagonist in The Legend of Sleepy Hollow. Igor – The famed fictional character in Young Frankenstein. Jekyll – Inspired by Strange Case of Dr. Jekyll and Mr. Hyde. Medusa – A monster described as a woman with living venomous snakes as hair. Merlin – The legendary wizard. Michael Myers – The fictional character and protagonist from the Halloween series of slasher films. Morticia – The matriarch of The Addams Family. 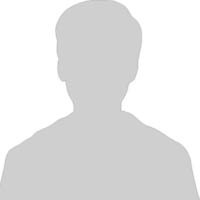 Norman Bates – The main antagonist in Psycho who had a pretty messed up relationship with his mom. Pennywise – The title character of Stephen King’s 1986 horror novel It. Pugsley – A member of the fictional Addams family. Rosemary – As in Rosemary’s Baby. Sabrina – Sabrina the Teenage Witch was a beloved TV show. Skellington – The main protagonist of the 1993 film The Nightmare Before Christmas. Wednesday – The glum daughter in The Addams Family. Welcome to Cute Animal Names site, a fun, cute, cool, unique, great and easy-to-use resource to help you find the most popular pet name. We have cute pet names, popular pet names, dog names, cat names, rabbit names, horse names, fish names, bird names and other animal names. Copyright © 2019. cute animal names · All rights reserved.